This design was created from the I.W.W. (Industrial Workers of the World) artist Carlos Cortez. 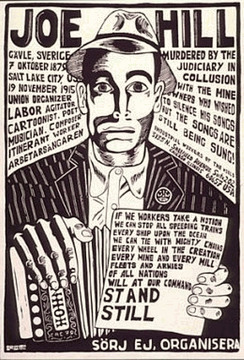 Joe Hill was executed in 1925 after a lifetime of sruggle for workers rights.